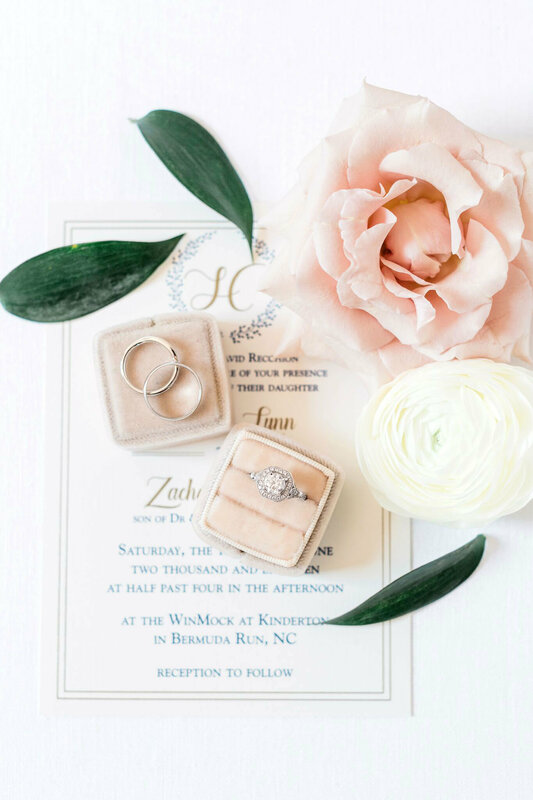 Wedding details have always been one of my favorite things to photograph on a wedding day….the amazing florals, shoes, rings, the invitation suite and all of the special family heirlooms that are close to my couples’ heart. Bringing together all of these details to tell the story of my couples’ day just makes my heart happy! When I first began my photography journey, I would show up to a wedding and photograph the details with what was available to me in the bridal or groom’s suite. You can imagine, not all suites and venues are made the same therefore creating an inconsistent look for your detail shots. 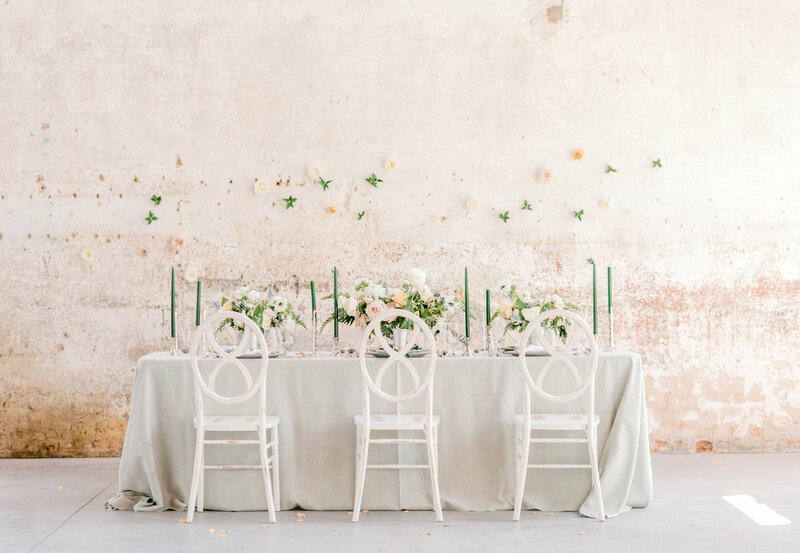 The colors of the chairs may not match the wedding colors! Something had to change! As a wedding photographer, I wanted those pretty detail shots for my couples! They’ve spent a year or more picking out their amazing wedding details, shouldn’t they be captured beautifully?!? So, I created my very own styling kit that I bring with me to each and every wedding I shoot! Photographers, are you unsure what you need to have in your styling kit?!? Well, look no further!! I’m sharing all the fun details below and where you can find the perfect ingredients to create your very own styling kit! 1. A NEUTRAL SURFACE. Many rooms or suites often have colors that do not match the colors of the wedding you are shooting! This is where a neutral styling surface can save the day!! A neutral surface can be a styling board like the ones you see above, or anything that is neutral in color…a piece of canvas, a linen piece of fabric, or a marble table top!! Styling boards are wonderful to have to create a cohesive look to wedding details! In the photo below, I used a styling board and a linen off the reception table! I use styling boards/mats from The Styling Mat and Heirloom Bindery. These two companies are wonderful because you receive a bag to carry your boards/mats in, and the color choices are the most beautiful textures you will find! 2. A REFLECTOR. Always find the best light for styling your details! Most of the time, it is near a window or a location where light is filtering in a direction. A reflector like this one, White Reflector , or even a pillowcase helps create even lighting for your detail shots! Hold your reflector, white board, or pillowcase up on the shadow side of your board/surface to create even lighting! 3. STYLING BLOCKS. These recently came into my life and I am absolutely in love! They are clear blocks that go under your invitation suite, ring box, or any detail you would like to elevate off your surface to give the photo more dimension. I use Sourced Co. styling blocks in my kit (see photo below)! You will love them!! -RIBBONS and STYLING SCISSORS. First, I have a slight obsession with ribbons. I love them all! They add a soft, vintage touch to your detail shots. I have purchased my ribbons through Nettle Textiles, Ink Sugar Co, and Lino & Co. Styling scissors are another way to create a vintage feel to your details and there are a lot of options from black, gold, silver, and so much more! You can find these on Etsy! -RING BOXES and RING DISHES. Ring boxes and dishes are a great way to showcase jewelry, whether it be her engagement ring, or all three rings together. I love and use my ring boxes from Koyal and The Family Joolz as well as my dishes from Marbella Dish. -STAMPS and TRAYS. I found my stamps at a local antique store! Sometimes you just have to go antique hunting (which I LOVE)! I have a few trays that I also found antique shopping, but my favorite one is from Heritage Home. -GLUE DOTS. COMMAND HOOKS. I use glue dots to hold details in place if it’s a little windy outside or if a piece of paper or a leaf just doesn’t want to lay right! I also use glue dots to hold a ring in place (but don’t worry, this doesn’t hurt the ring)!! It is a great idea to have a command hook in your bag in case their is not a place to hang the dress or if you’d like to use a specific location/wall! Just be really careful when taking the hook off the wall/door!! -STEP STOOL. Last, but not least. I always carry a step stool with me to weddings. Not only because I am short, but sometimes you can’t always place your board on the floor due to lighting conditions! The step stool is just there to be your styling assistant! I have even named my step stool Shelby! You can find step stools at TJ Maxx, Homegoods, and Target! -STYLING BAG. I know you are probably thinking, how does she carry all of this to a wedding?! It’s easy!! This CANVAS bag I bought from Amazon is wonderful and holds everything I bring with me to style details! I hope this blog post helps you create your very own styling kit!! I would love to see your photos!! I am always here to answer ANY questions you may have! Leave a comment below for me. Beautiful as always! I LOVE the styling blocks, such a great addition. Last year I added styling boards, this year I am going to try to add to my kit, great ideas, here! Thanks, Becca! I am constantly updating and revamping my styling kit also! The styling blocks do help a ton! I am not looking for my wasabi tape in the bottom of my bag anymore because the styling blocks come in their own carrying bags!